One of the best things I've found with the blogging community is that it really exposes me to some of the good and bad around the hobby that I might not see otherwise. Some opinions may be jaded and others might be a bit optimistic, but overall, if you have a question on how good a product is, just read a few blogs and get all the answers you need. 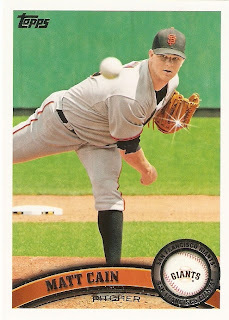 Such was the case with 2011 Allen & Ginter. For the past few weeks, I have been on a bit of an ebay selling spree. I came to the conclusion that I have WAY too many cards that I really just don't want. 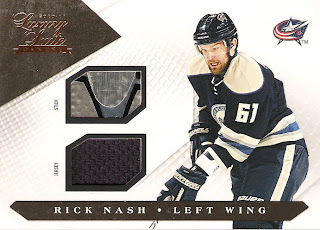 Instead of doing the easy thing and just throwing out all those junk wax commons, I decided to try and sell what I could on ebay. Then, with the Paypal I get from my auctions, turn it around and get myself something I really want, and something I would NEVER convince my wife to spend the money on otherwise. 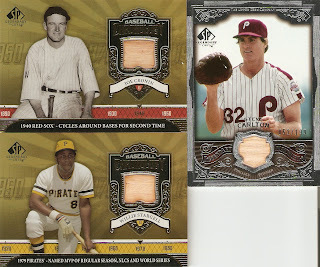 I had every intention of going crazy on Allen & Ginter, but after reading quite a few box breaks, I decided to put the brakes on that. Looking at ebay, I can get a full set with SPs for 40-50 bucks. 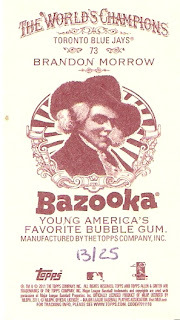 The motivation to box busting, though, is that you could get a big hit and make more money back than you even spent on the box. 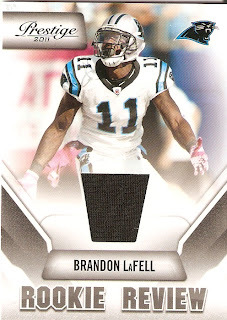 I never plan on pulling th ebig hit, though, and since most people weren't happy with a single one of their hits, I figured the best thing to do was spend that Paypal on some cool hits that I want in the first place and buy a full set further down the road. 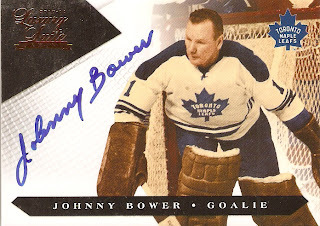 2010-2011 Panini Luxury Suite Johnny Bower auto. 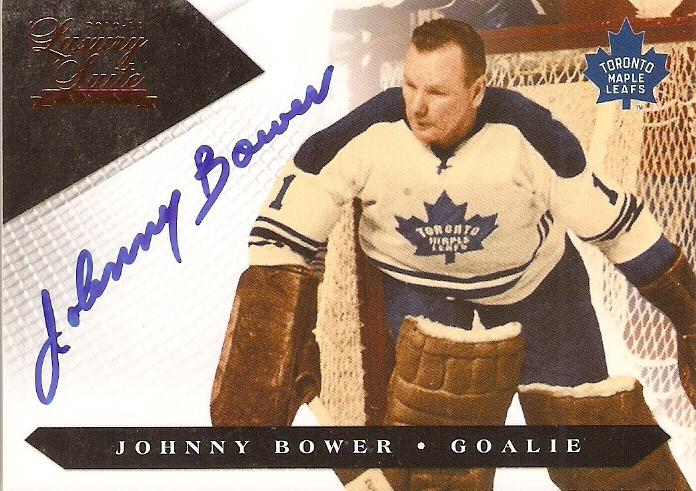 An on-card auto of an NHL hall-of-famer. Every other card besides this one came from the same seller (combined shipping, folks!) Just over 10 bucks shipped. 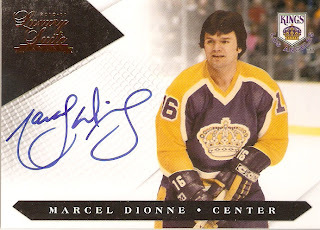 2010-2011 Panini Luxury Suite Marcel Dionne auto. 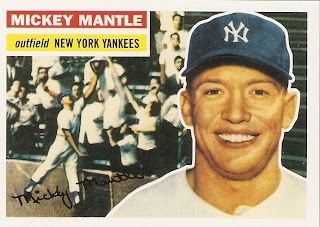 I was very happy to snag this on-card auto for just 8 bucks, probably because he spelled the name "Dionee" in the listing. 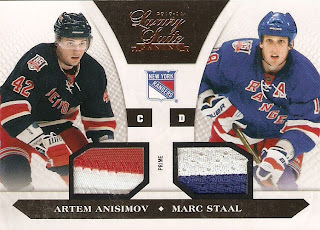 As you will no doubt see, I really got into the Luxury Suite cards. What I like about them is Panini's attention to detail. 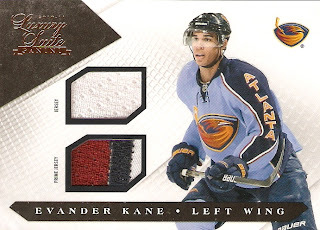 There's nothing worse than getting a "patch" card, where the swatch is just one solid color of a player's number or getting just a sliver of color number two in the corner. They make sure the goods are front and center. 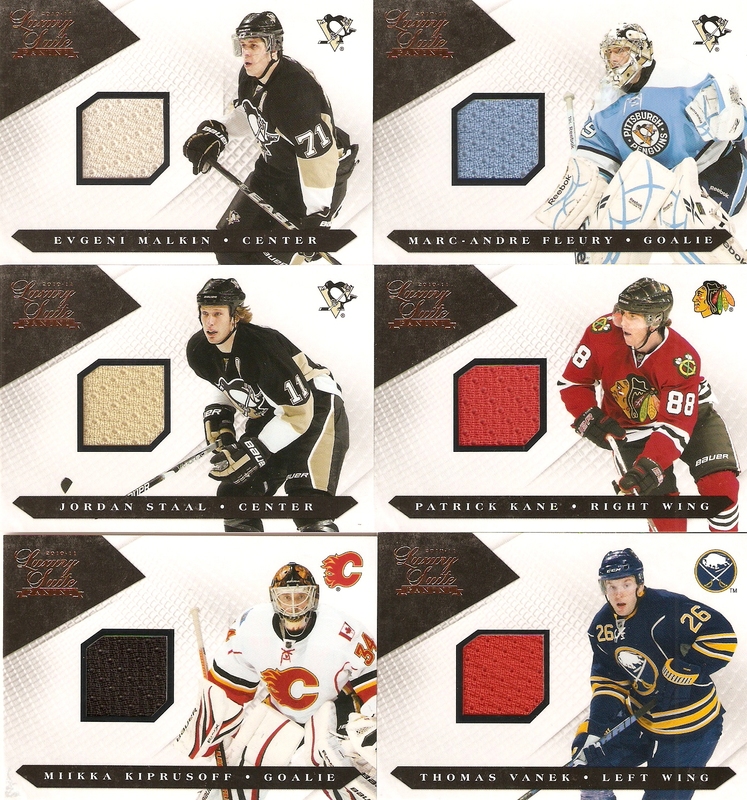 They reall made an effort on these cards, and it shows. 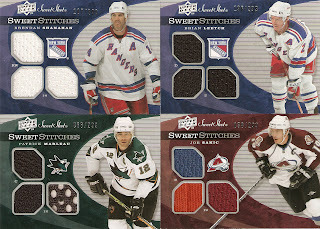 Not too sure where the orange swatch on the Sakic jersey came from. Still, it has a seam running straight down it, which is cool. I also like the bottom right swatch on the Marleau, although I'm not sure which part of the jersey it comes from. 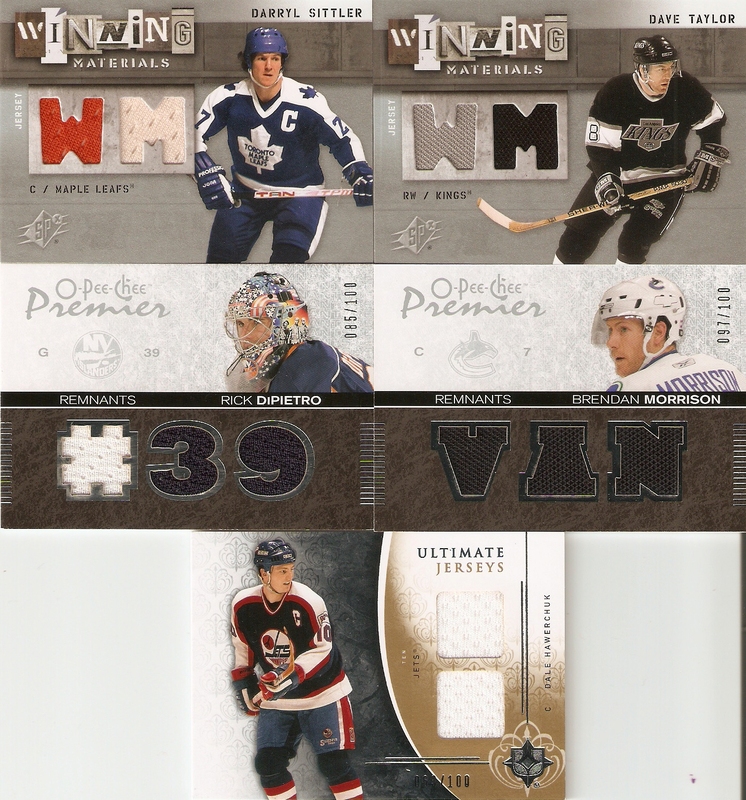 There goes Upper Deck again, not matching jersey colors to photo colors on the Sittler. And with all the buzz in Winnipeg right now, who could resist a dual-swatch Hawerchuk? Not a hockey fan, you say? Here's some baseball for you. 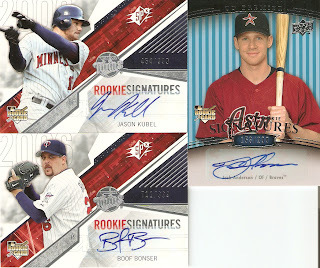 The presence of Twins autos is what happens when you visit your parents in the upper midwest and get exposed to names you never would have heard otherwise. And here's some basketball, just for fun. 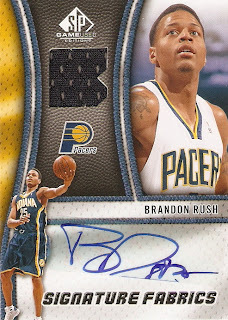 I got excited about that Antoine Wright, until it came in, and I saw that the swatch is NOT a jersey tag, but a piece of a cheap plasticky basketball used in a draft-day photo shoot. 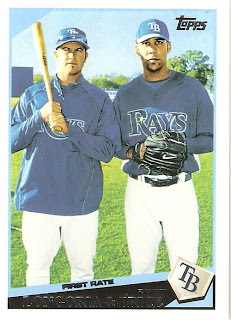 Still, I got the Duncan Dual and Malone relic for under two bucks each. So there you have it. Call me bitter. Call me jaded. 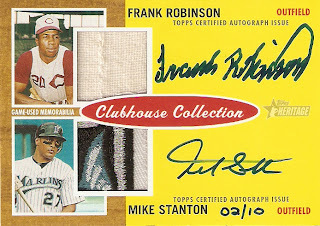 But you can take your Allen & Ginter boxes and I'll have fun with my ebay bargains. Shameless plug here: If you want to check out what I have on ebay right now, follow this link. After going crazy on these relics, I decided I need to focus more towards one goal instead of just throwing it all over the place. 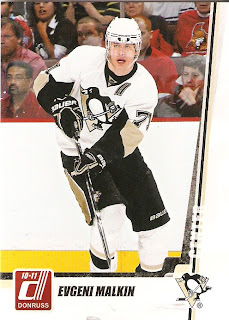 The big goal right now is a Sidney Crosby autographed card from 2011 Goodwin champions. 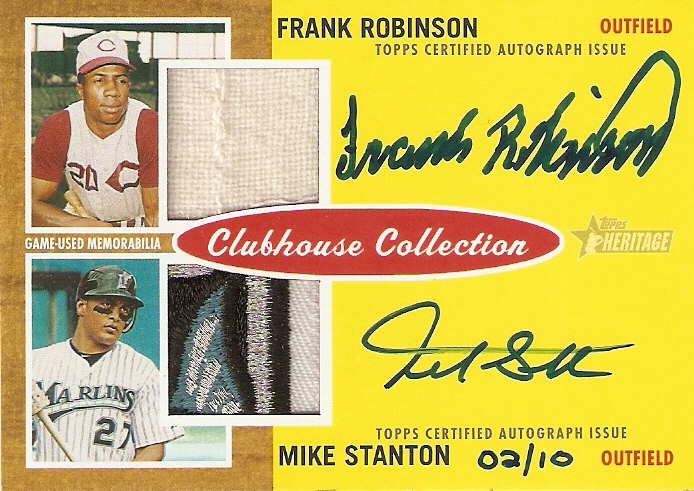 I just posted auctions for autographs of Carl Yastrzemski and Len Dawson, as well as a cut signature called I pulled from 2010 Panini Classics Football. Once again, Napkin Doon is running his Big Fun Game. For those of you who have not participated, it works out like a secret Santa type of thing and you can get some REALLY cool prizes. So go check it out. 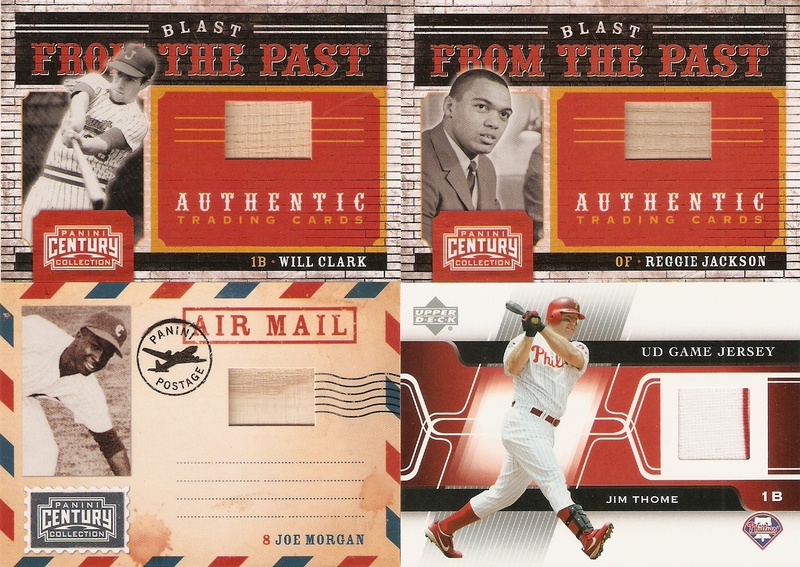 Seeing as though I don't have a hundred bucks lying around, and I never have enough patience to accumulate that much in PayPal fromt he ebay items I sell, I settled on getting a few rack packs of Allen & Ginter. 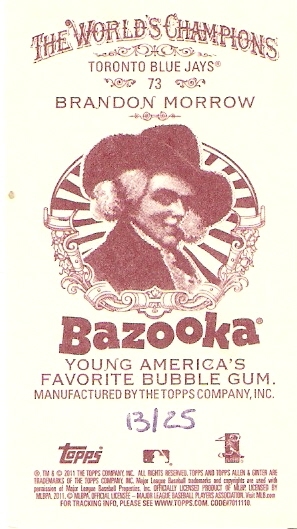 A Bazooka Red Back numbered 13/25. With a brand new release, people are buying this up at some pretty decent prices. (And yes, I do have it up on ebay.) 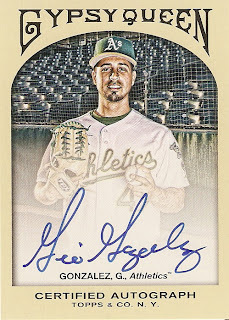 It took me all of five rack packs to pull one of these hand-numbered beauties. 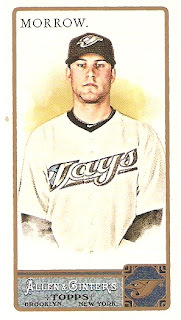 Last year, I opened 4 hobby boxes, three blasters, and a bunch of loose pack and pulled just one, a Davis Price (which I also have up on ebay,) so I'd say my luck has started out pretty good. I still planning on buying a box or two at some point, but after reading Sam's posts (here, here, and here) at The Daily Dimwit, I might have to lean over to Goodwin Champions for my box buying. Not only has it gotten MUCH better reviews from not only Sam, but a bunch of other bloggers, but it's a great looking set and has a MASSIVE hockey checklist for the product, among other sports. Plus, it just seems like a FUN product to open. That being said, I'm STILL going for the Ginter set this year. 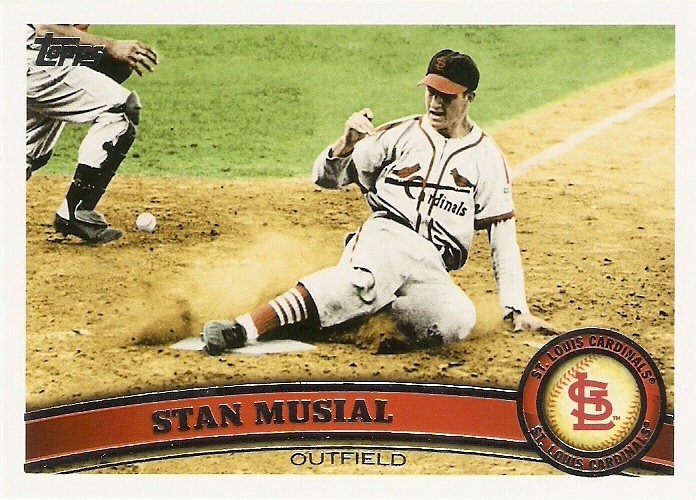 It still looks fantastic, it still has some really cool inserts (MUCH cooler than the lame, generic ones of 2010), and it still has a cool mix of non-baseball figures. 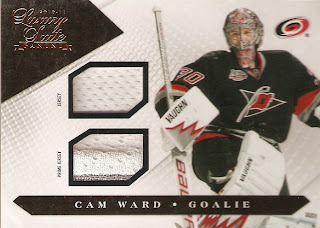 I just might get it via trades, ebay, and loose packs, instead of boxes. 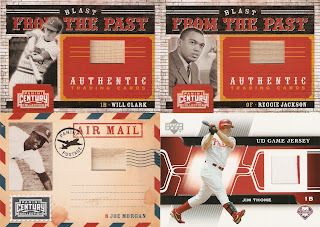 I received the trade stack I claimed from BA Benny in the mail the other day and was very happy with what I found. 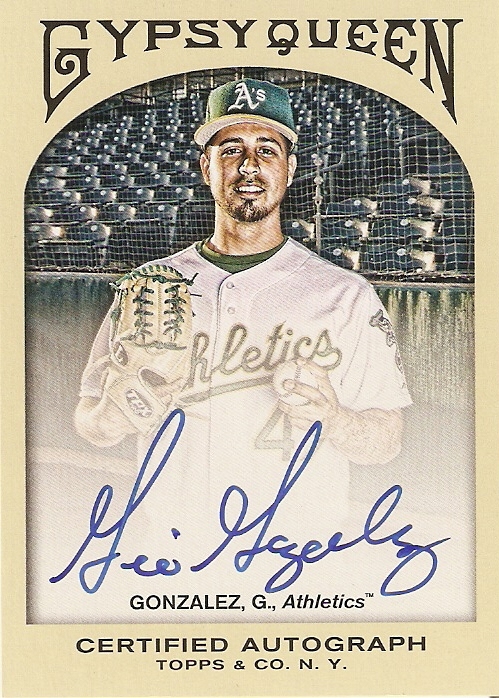 The stack reached four, starting with a 2001 Leaf Rookies & Stars Many Ramirez, a 2010 Bowman Chrome Jake Skole, and a 1998 Topps Gold Label Edgar Martinez. The clincher for me, though, was a 2005 Topps All-Time Fan Favorites card of Ron Santo. Go check out his blog and see if his current stack has anything that interests you. 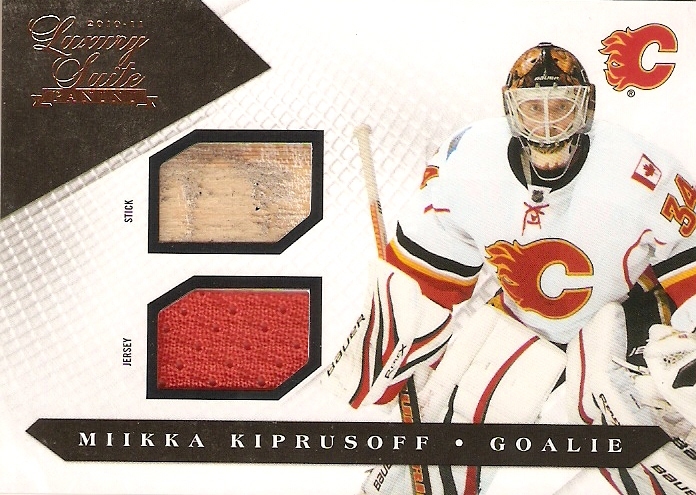 Also, I have a few items up on ebay, a few of which are ending today, so go give them a look and see if anything jumps out at you. Here's the link. Hey everyone. 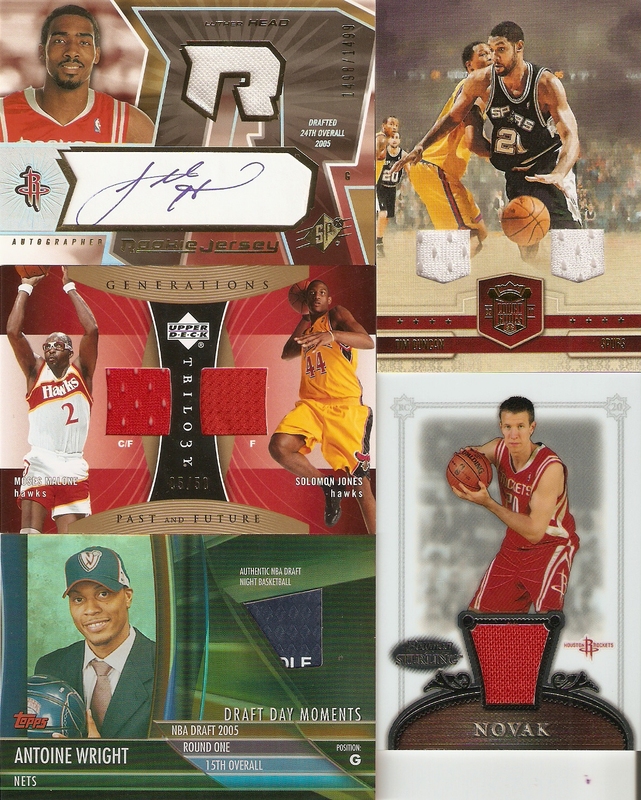 Real quick, I just wanted to let everyone know that I am posting a few cards on ebay. I'm trying to consolidate my collection and get rid of some items that I don't need or want any longer. I have way too many right now, and it's getting to be a pain in the neck to keep them organized and find what I'm looking for when it comes to making trades. I only have a few up right now, but I'll be putting up more periodically over the next couple of weeks. So go check out what I have right here and remember to check back often. 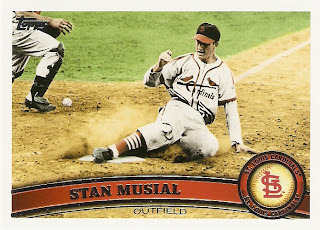 I went to my local Target the other day and picked up a few packs of baseball and football cards. 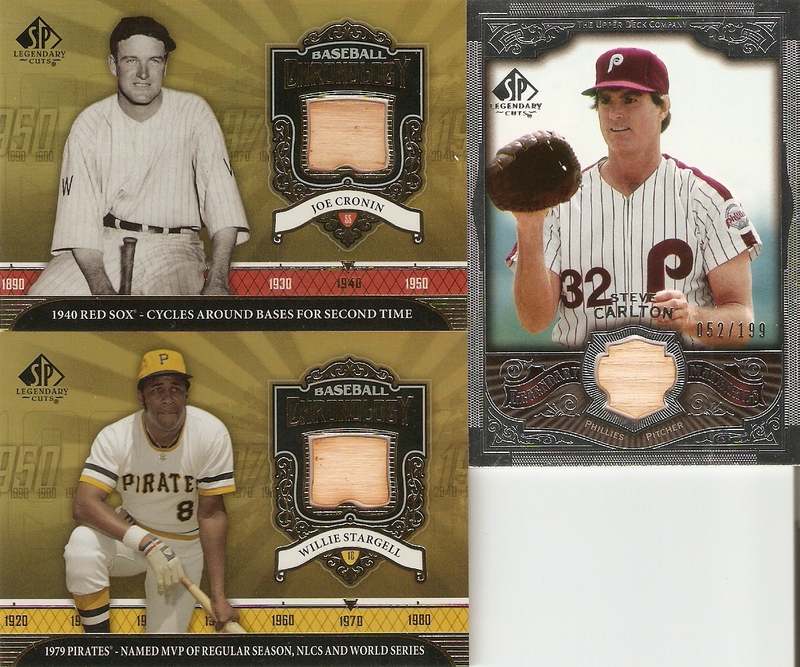 From baseball, I picked up 8 packs of Gypsy Queen (the rest of what was left) and wasn't expecting much. The packs were laying vertically in the box, leaning on one side, meaning someone that molested these packs like a creepy uncle, so I wasn't expecting much. I didn't get much, either, until a few packs in, I found this guy. Needless to say, it was a rather successful outing. 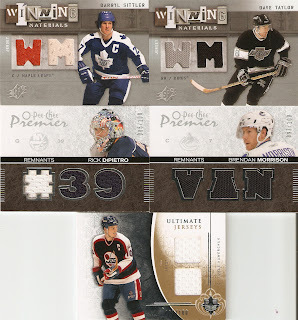 Another cool contest with some REALLY cool cards. 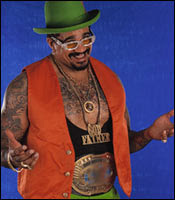 Head over to Rants, Reviews and Fandom and see if you get lucky. Hey, contest fans, head over to see Greg at Plaschke, Thy Sweater is Argyle. He's giving away all sorts of goodies to two lucky winners. Go check him out and try your luck. 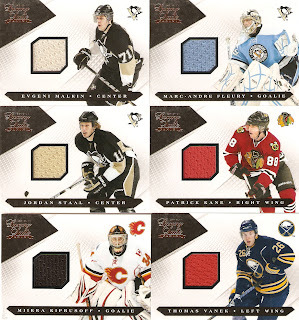 With the NHL draft over and free agency starting, I decided to pick up some hockey cards. I had my daughter with me, so of course, when she sees daddy get something, she wants the same thing. I decided to get another blaster of her choosing and turn our occasional Pack Wars feature into a blaster box edition. 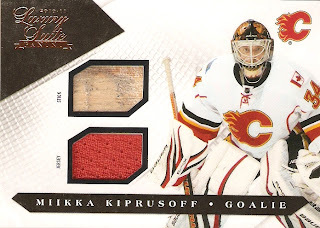 Since I had yet to get any Donruss hockey from this year, I decided to give them a try, and luckily for me, the girl decided to pick up something I am collecting, 2011 Topps Baseball. 7. 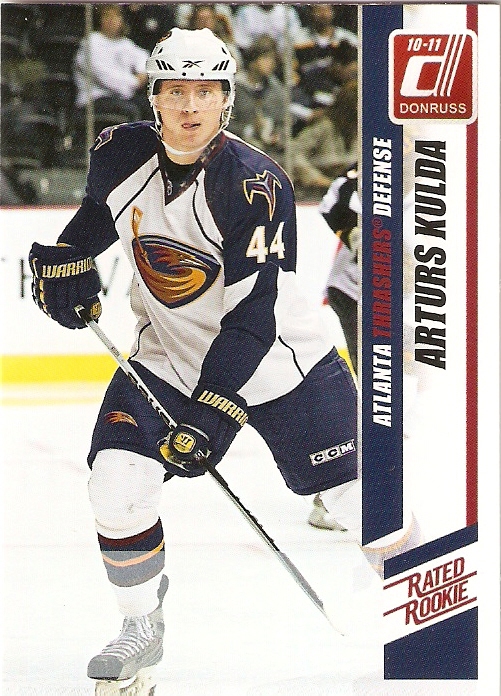 Arturs Kulda Rated Rookie - Kulda played in a whole two games during the 2010-2011 season, with 0 goals, 0 assists, and a -2 rating. Ouch. I was, however, happy to pull a rookie SP and happy to see they kept the Rated Rookie logo. 6. 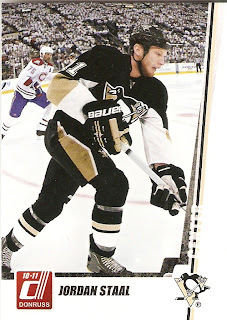 Jordan Staal - A base card of one of my favorite Penguins. Can't go wrong there. 5. 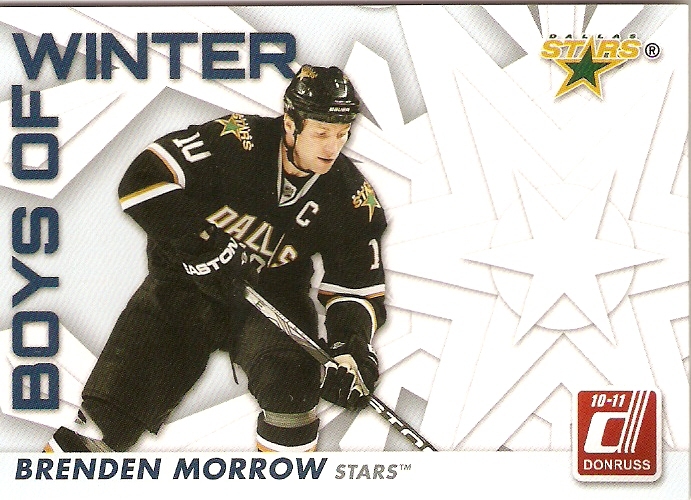 Brenden Morrow - Yes, the Penguins are my team, but since I live in Texas, I do have some love for the Stars. 4. 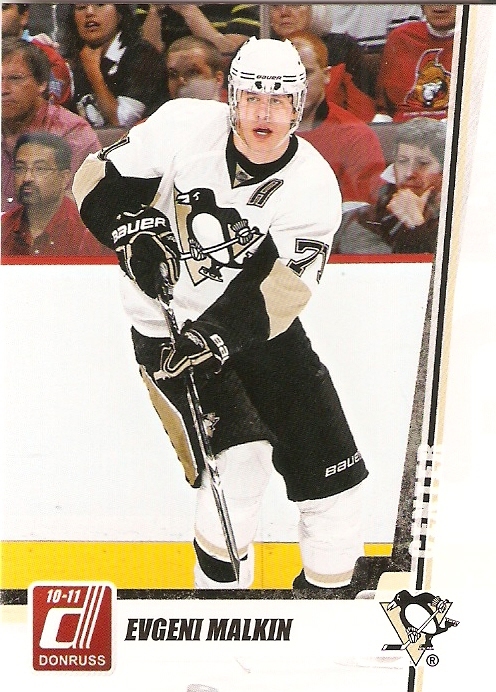 Evgeni Malkin - Like the Staal, but twice as awesome. 3. 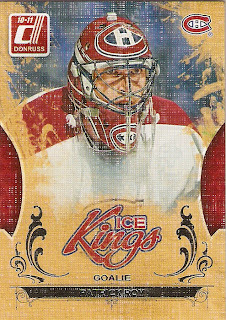 Patrick Roy Ice Kings - I have always loved the Diamond Kings cards that Donruss put out for baseball, and if you're going to pull one, you could do much worse than one of the greatest goaltenders of all time. 2. 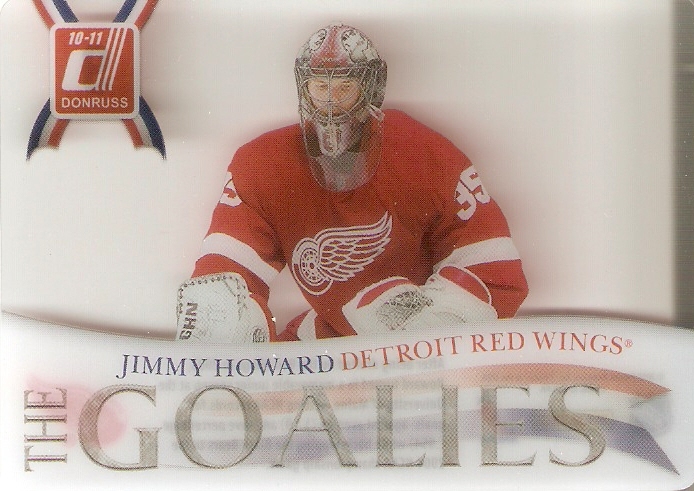 Jimmy Howard The Goalies - I LOVE the look of these inserts. The scan doesn't do it justice, but the cards are clear to give it an icy look. A great enough insert style to make me love a card of a Red Wing. 1. 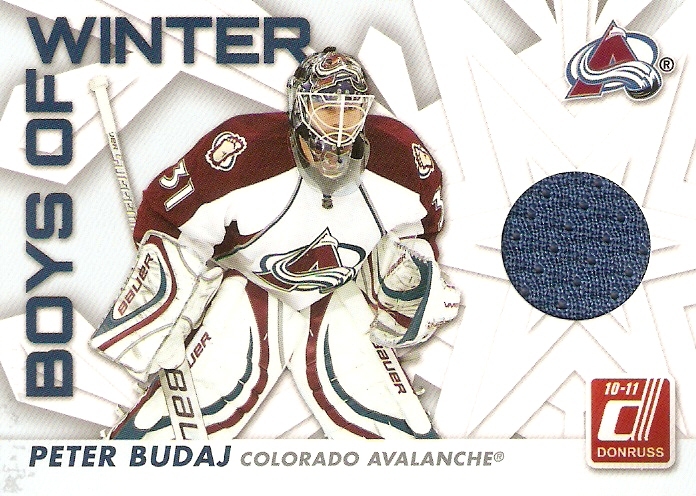 Peter Budaj Boys of Winter Jersey - It's one thing to get a hit from a blaster, but getting a non-guaranteed hit is an extra bonus. White jerseys are pretty boring, but the nice thing with an Avalanche jersey is that you almost always get bright, full colors from the swatches. 7. 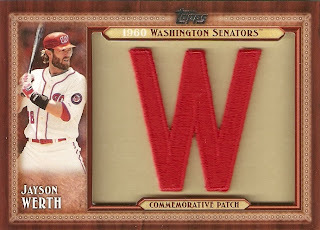 Jayson Werth Commemorative Patch - The guaranteed "hit" from the box. I would have ranked it higher, but Topps, in its infinite wisdom, put a Washington Senators patch with a Nationals player. 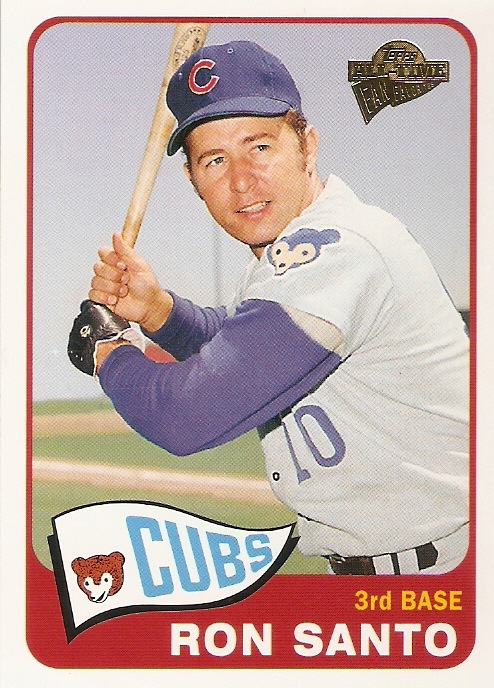 It would be an understandable error, if they hadn't already gotten it right with a few Expos patches in Series 1. 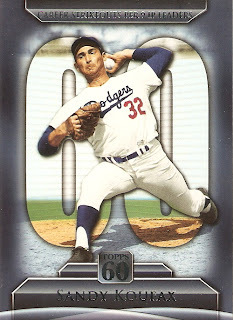 Still, a great looking card. 6. Evan Longoria and David Price 60 Years of Topps Original Backs (2009) - While some don't like the reprint sets, I'm a fan, even if I'm getting a reprint from 2 years ago. The only frustrating thing with this one is that I got the original back (not building the set) instead of the 60YOT back (I am building the set). 4. 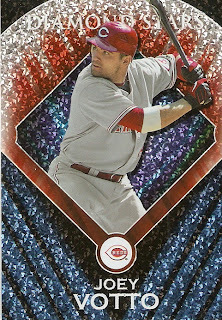 Joey Votto Diamond Stars - Another GREAT looking insert set from Topps this year. 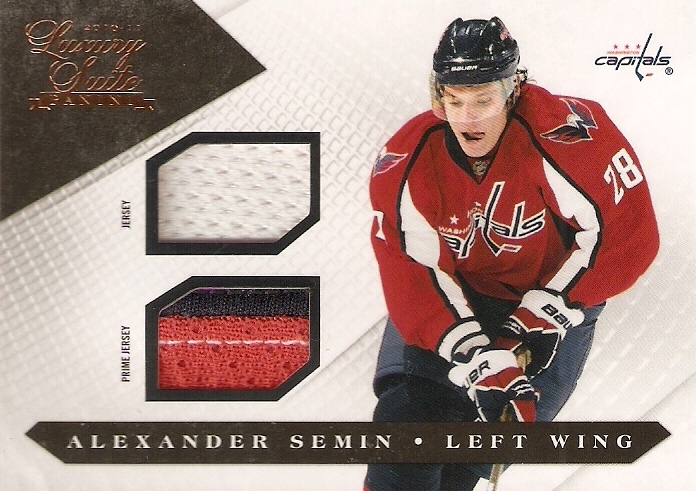 Once I get the full 25-card set, it will look great in a binder. 3. 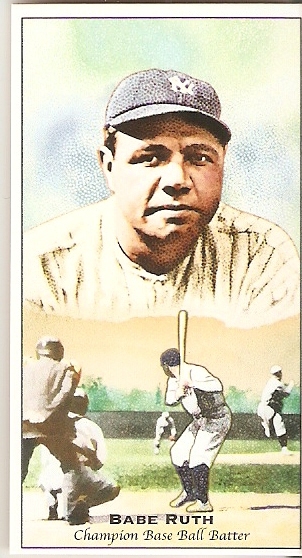 Babe Ruth Kimball Champions - Like everyone else, I love this set, and pulling a Ruth means I won't have to pay big bucks to buy it as a single. 2. Mickey Mantle 60 Years of Topps - I know Topps has flooded the market with Mantles, but it's always good to pull one. 1. Jose Reyes Diamond Sparkle SP - I actually didn't see this one at first, and almost missed it the second time I flipped through my stack. It may be a strange gimmick, but the cards are extremely rare, and might get me something nice on ebay. 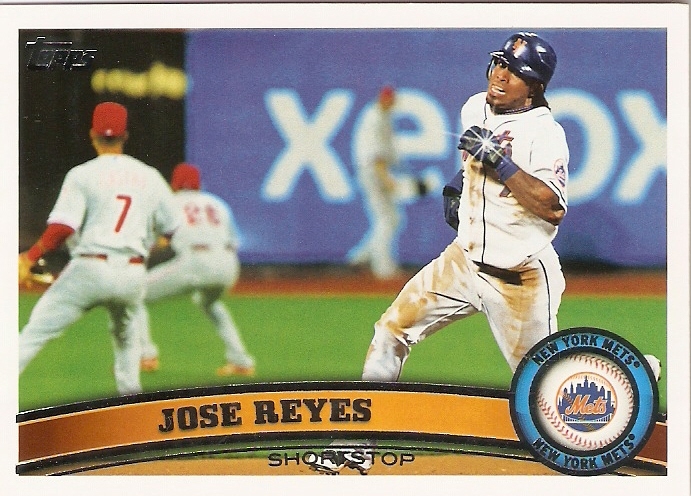 Well, I thought I had this one, up until I noticed the Reyes. The jersey cards are usually good enough for a win, but there's no competing with that Reyes.